The industrial production and handling of food poses interesting and challenging mathematical questions of non-standard nature. This workshop will discuss a variety of mathematical aspects in food industry. These range from modeling, simulation and optimization of growth and microbial activity over food processing with aromatic facets up to logistics of distribution. Please register and submit your abstracts for presentation. Confirmed speakers include representatives of Nestlé, Weihenstephan as well as wine experts from the Rhine, Main and Moselle region. 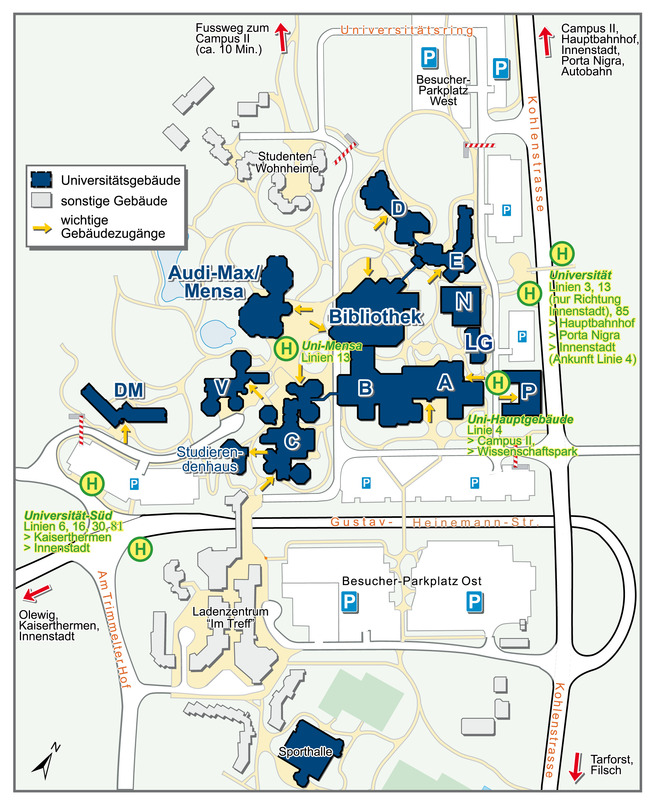 There are two main stops at Campus 1 called „Universität“ and „Universität Süd“, the first of which is closer to Building E. There are buses starting at Trier Main Station (3,13,30) and at the „Porta Nigra“ where most hotels are located (6,16,81). You will need about 15 minutes for the ride. 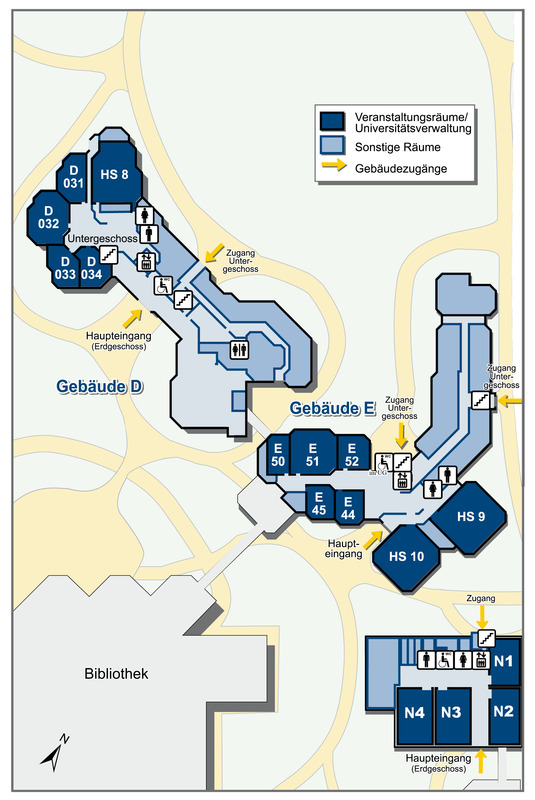 Follow the signs leading to the University and use the parking ground „West“ since it is adviced for visitors of Building E.
Here you find a map of Campus 1. Here you find a map showing the location of room 51.